The kids had so much fun with our Q-tip heart paintings a few years ago I thought it was time to do it again. 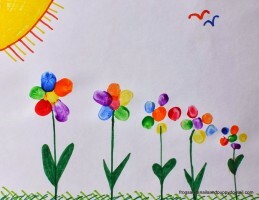 With Spring on my mind we ended up trying a fun Q-tip Rainbow craft one afternoon. 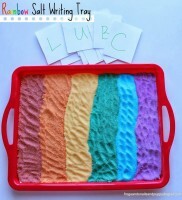 This craft is also great for fine motor skills. Things have been extra busy over here for us the last few months. 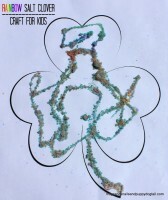 With my focus on other things, we have not done any (I think) St. Patrick’s Day CRAFTS. I finally had a day that I could sit down with my toddler and create a Rainbow Salt Clover.